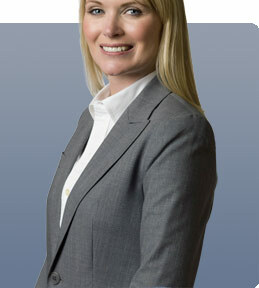 When you hire Tonya Rolland, you hire years of prosecutorial experience. This is what she stands for.. If you are facing criminal charges, you will need a criminal defense lawyer as soon as possible. Finding a defense attorney can be one of the best actions you can take in your case to protect yourself and your rights. Even if you feel the case against you is overwhelming, you can take action to protect your rights and fight the charges. Let Tonya Rolland explain what constitutional rights you have, and how they may affect your criminal case. Don't let one mistake affect you for the rest of your life. We offer a free lawyer consultation to discuss your case. Call (713) 529-8500. If you need to speak to someone who will competently and passionately defend you contact us. Tonya Rolland's experience as a former Harris County Prosecutor and an experienced trial attorney gives her a unique understanding of the Texas legal system that truly sets her apart. Serving clients throughout Texas includingHouston, Galveston, Angleton, Pearland, Alvin, Sugar Land, Clear Lake, Conroe, Pasadena, La Porte, Missouri City, Texas City, Friendswood, Richmond, Rosenberg, Hempstead, Huntsville, Liberty, The Woodlands, Humble, Tomball, League City, Bellaire, Deer Park, and Katy and other communities in Harris County, Brazoria County, Fort Bend County, Montgomery County, Galveston County, Chambers County, Liberty County, Jefferson County, Waller County, and Walker County.